The private space firm founded by Internet entrepreneur Jeff Bezos claimed a breakthrough for its space travel efforts Tuesday with the launch of a reusable rocket. Bezos announced the milestone with his first Twitter message following the launch and return of the rocket by his firm, Blue Origin. “The rarest of beasts a used rocket. Controlled landing not easy, but done right, can look easy. Check out video,” said the tweet, with a link to a YouTube video. 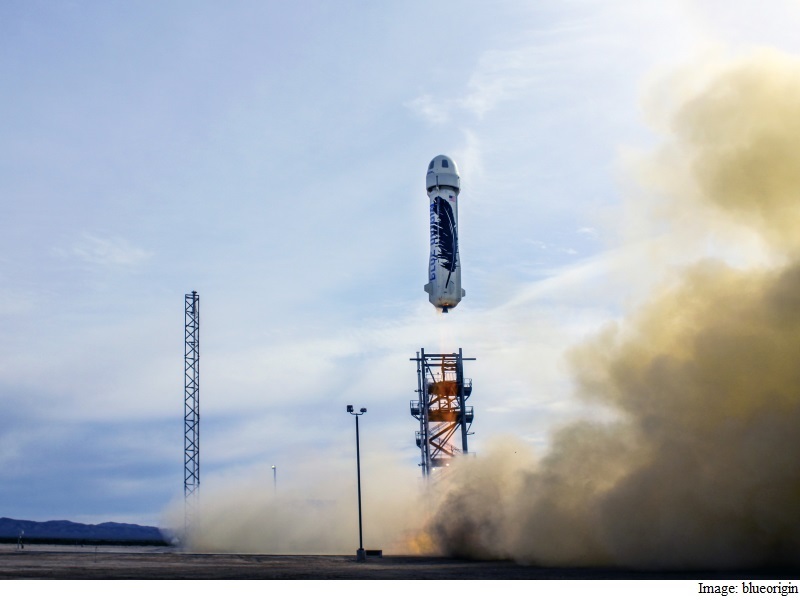 The unmanned New Shepard rocket blasted off from its west Texas launch site and then returned and landed safely, representing a coup for spaceflight. “Rockets have always been expendable. Not anymore,” Bezos said in a blog post on the Blue Origin website. Bezos told CBS This Morning that the successful launch and return is a major step toward enabling space travel. “That’s a game-changer because it changes the cost structure of space travel completely,” he said. Bezos added that the company would continue “a very methodical test program” as it prepares its space travel program. “One of the good things of this vehicle is that it can fly autonomously,” he said. The successful launch and landing puts Blue Origin ahead of rival SpaceX founded by another Internet entrepreneur, Elon Musk which has so far failed to accomplish the same feat. “This flight validates our vehicle architecture and design,” Bezos said in his blog post. He added that the video showed that “we took the liberty of engineering all the drama out of the landing” with a controlled descent. In a Twitter message, Musk said “Congrats to Jeff Bezos and the BO team for achieving VTOL on their booster,” referring to vertical takeoff and landing.